Right now I'm feeling so proud of myself that I just couldn't wait to share this creation with you all. I've wanted to have a go at making one of those "heads in the bed" cakes for a sleepover party like, forever. This morning I began with a plain, round, white layer cake. Within a couple of hours it had been turned into the cutest sleepover cake ever, complete with bed, quilt and six little sleeping beauties. 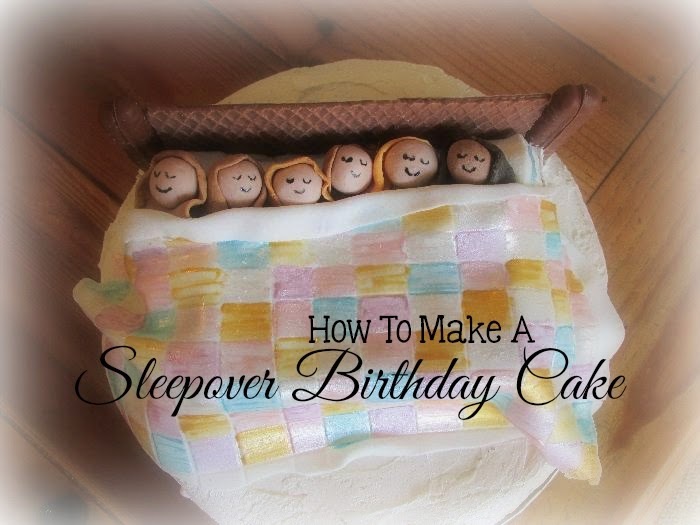 Here's my Sleepover Birthday Cake, with step-by step instructions. First, start with your favourite cake recipe as a base. The birthday girl requested "a vanilla cake with white icing, please", so I used Meredy's easy vanilla cake recipe, and made a double mixture, baked in two layers in a greased springform cake tin. 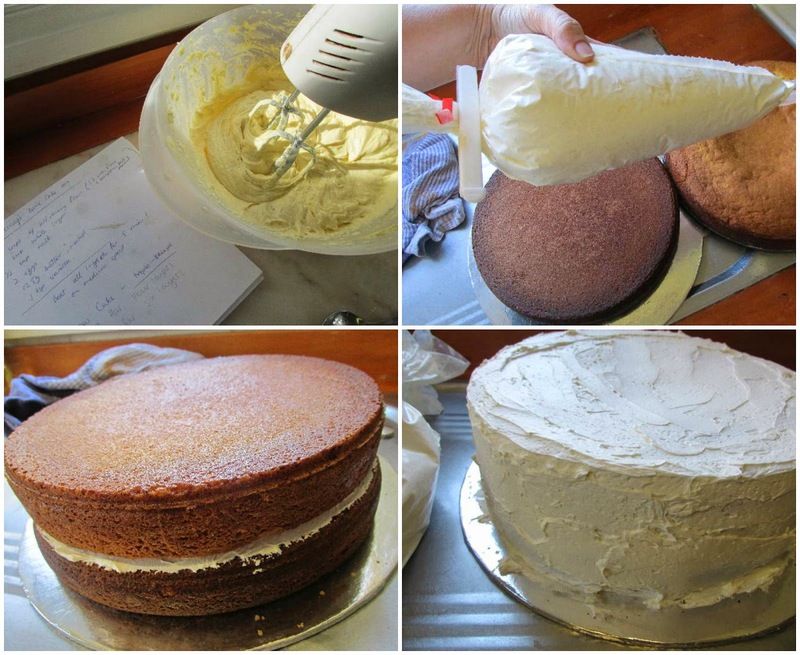 Once the cake has cooled spread with white buttercream between the layers and all over the cake. I made my life super easy by asking in the bakery department of my local supermarket if they would sell me half a kilo of "mock cream" (a.k.a. buttercream). They were more than happy to oblige and even put it into a piping bag, charging me just $1.50 for the lot! It saved me time and money, and helped me avoid my least favourite task - beating butter to within an inch of its life. For the "bed" base I baked my favourite easy peasy brownie, and split it in half once it cooled. Smother the bed base with a bit more of that white buttercream. (The extra half of the brownie has been cut up into chunks for our sleepover dessert bar). Next we begin on the bed details. To create the "bodies in the bed" I used chocolate finger biscuits. there will be six girls at the sleepover, so we lay out six biscuits "bodies". 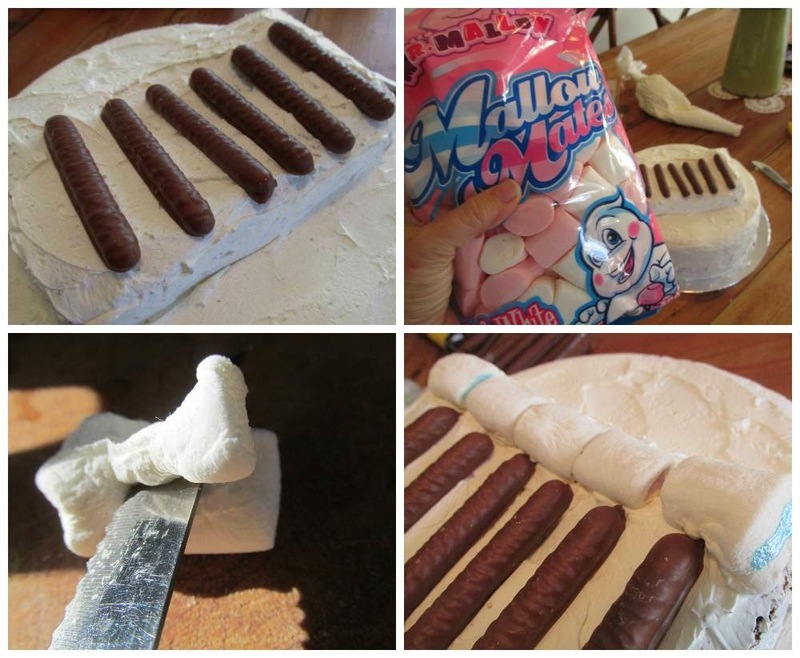 To make the "pillows" I slice white Mr Mallow marshmallows in half, lengthwise. These are the perfect shape for pillows, once we cut them down a bit. Use white fondant (available from any supermarket in a packet), and add colour by working it in with our fingers. It's just like playing with playdough, truly. 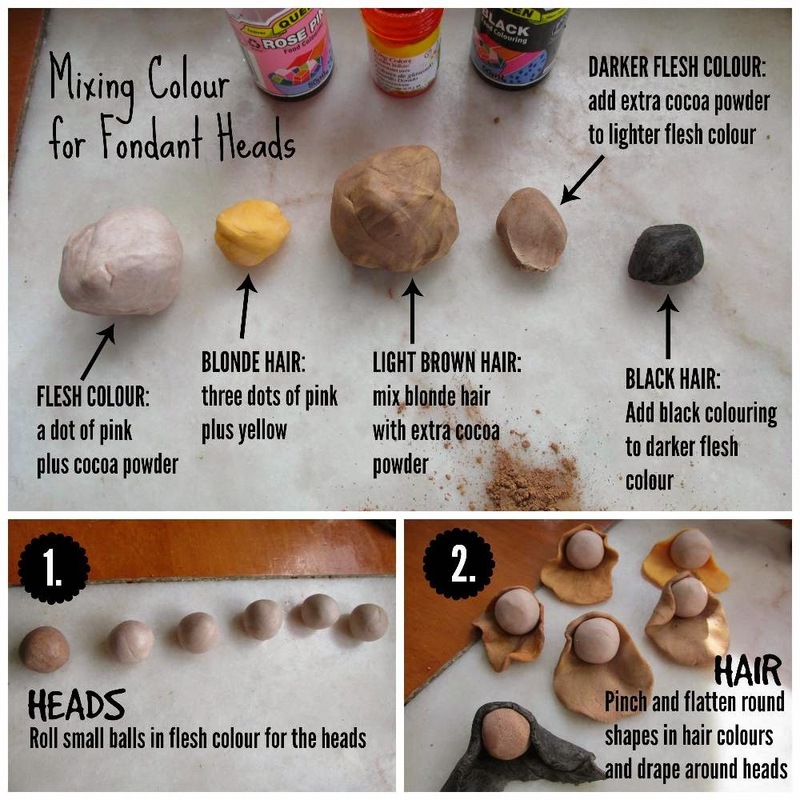 Once you've mixed your colours (see the graphic for details) pinch a bit of fondant and roll it between your palms until you have a nice round ball. Do this for each of the "heads". For the hair, break off a bit of the hair colour and pinch it between your fingers into a round-ish shape (you don't want it took perfect looking). Wrap each piece of hair around the "head" ball as shown in the picture. It's actually really easy to do! 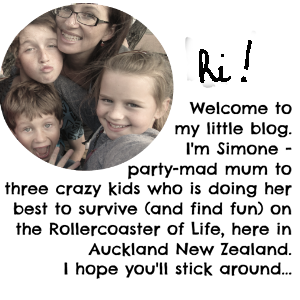 (I figured it out while giving it a go today; much easier than I thought it would be). Next, we make the blankets. Break off a largish piece of white fondant and rub it between your palms to make a sausage shape. Now roll it out using a rolling pin. To avoid the fondant sticking to your surface or your rolling pin, sprinkle some icing sugar on both surfaces..
Once your fondant is rolled out nicely, trim one edge off nice and square with a sharp knife (this is the top of your quilt) but you can leave the other edges wavy (they look nice once draped on your "bed"). Mark the quilt squares by laying down a metal skewer and pressing lightly to form a grid pattern. 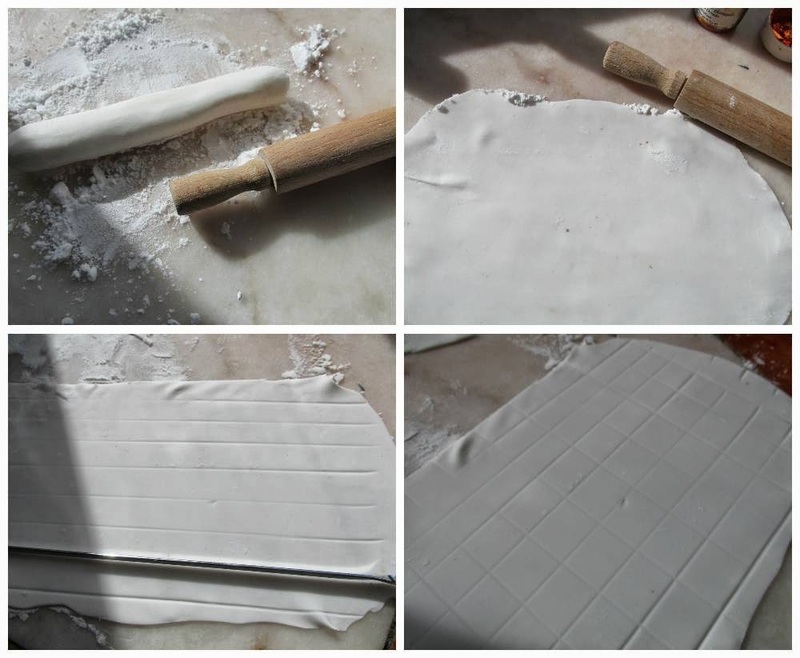 Carefully move your fondant quilt to a flat plate or board "floured" with icing sugar (so the fondant doesn't stick). You can now start colouring in the quilt. 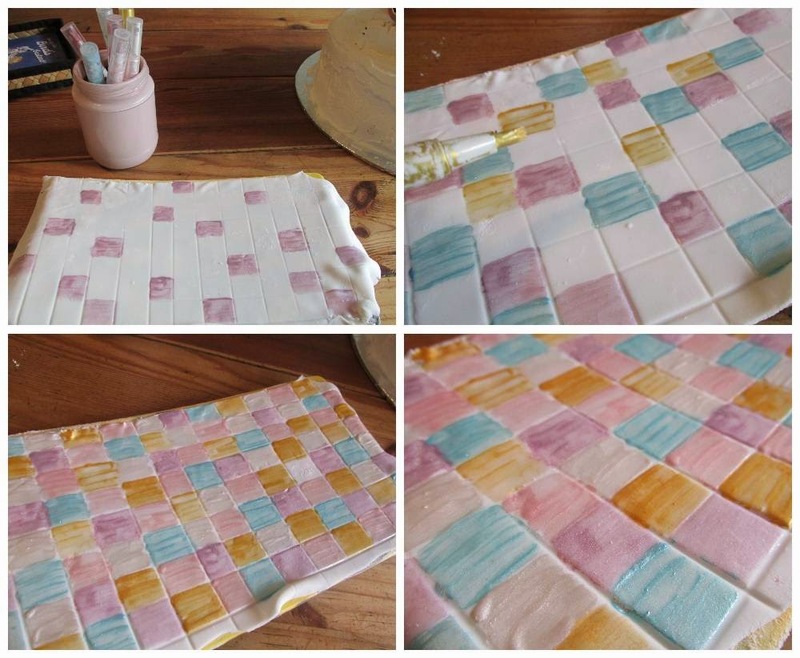 I used my edible metallic liquid paint pens from KiwiCakes to colour in the squares in a random pattern, sticking to soft colours (pastel lilac, pink, baby blue, light gold and pearlescant white), but alternatively you could paint food colouring on with a brush. So pretty. See how that grid pattern gives it a slight 3-D quilted effect? 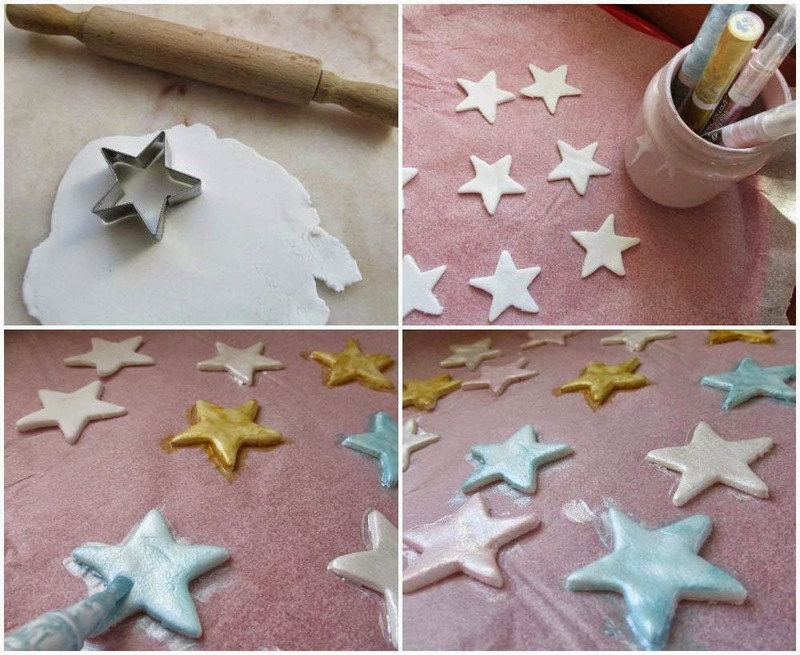 Before placing your quilt on the bed, first make a "top sheet" by rolling out another piece of white fondant. It needs one nice sharp edge, but doesn't need to cover the whole bed as only the folded top will be seen. Now carefully drape your "quilt" over the bed and fold back the top sheet. Isn't that grand? Time to make the headboard. Simply cut the wafers to size and then poke them into the cake. Easy peasy. 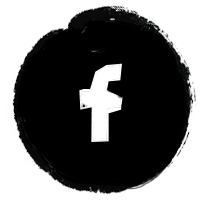 To do this, simply dip a non-toxic pencil into black food colouring and draw eyes and mouth - much better control than with a brush. You should have seen Miss Fab's face when she came home to find this birthday cake waiting for her. 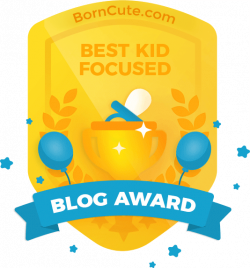 There was squealing (and fake fainting). I think this is quite possibly my BEST BIRTHDAY CAKE EVER.